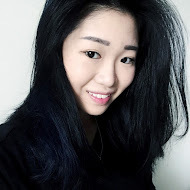 *UPDATE: I know the Taobao interface has changed a lot since this post, hence there would be some discrepancies between my post and the new Taobao website. I don't usually reply to comments on this post, so if you really have questions, it would be best to ask me via email at gwensies@live.com. I will try my best to reply from there. Happy shopping! For those who don't know, I've been shopping on Taobao since 2012 and I've almost never shopped from local blogshops since. The reason is simple: Everything comes from China! I've bought truckloads of things from Taobao before and it even came in a Santa sack once. No kidding. With such a huge wholesale market in China, it's no wonder your local blogshop sprees (sorry to put you out of business), Bugis Street retailers, even some random clothing shops in Singapore all source their goods from there. You can literally buy the whole world there. I wrote a guide on how to shop from Taobao using a local spree agent back in 2012 when I used an agent for my purchases. Well, I'm back again with another guide on how to buy DIRECTLY from Taobao! With the launch of Taobao SEA (maybe Taobao started to realise they have been gaining a huge market share in Southeast Asia region), buying and shipping directly to Singapore has never been easier. All you need is a VISA or Mastercard credit/debit card. So now the question you must be asking is, why choose to ship directly from Taobao and get yourself confused with all the Mandarin terms instead of using a local agent like before? There is only one answer: It is much cheaper, because you will be saving on exchange rates, shipping and agent fees. The disadvantage I can think of is that the sense of security you get from the paid agents to check your goods and its quality and to chase sellers is gone, because you do everything by yourself. So if you need to feel the assurance, please go ahead and continue to use agent services. The overall price may not differ too much, depending on how much and how heavy your items are. 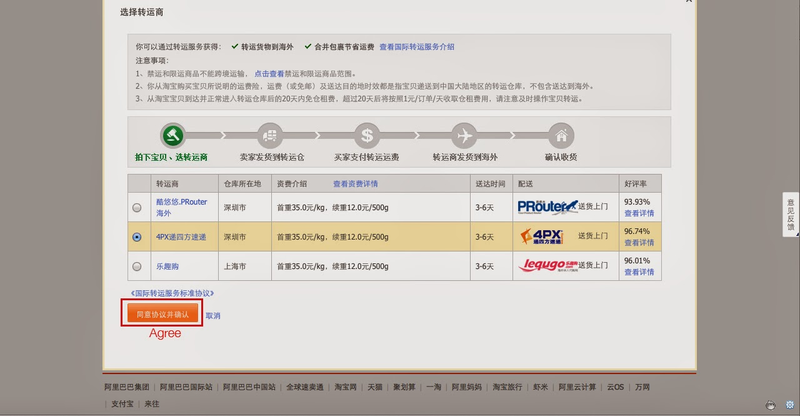 Overall, the process is still similar in a way that you still need a forwarding agent, except this one is much cheaper and provided by Taobao. You still have to make payment twice - once to pay for your items and shipping to the forwarding agent's warehouse and once for your shipping to Singapore. They've made our lives easier because you can now register in English too. After this registration is complete, you can start shopping right away! 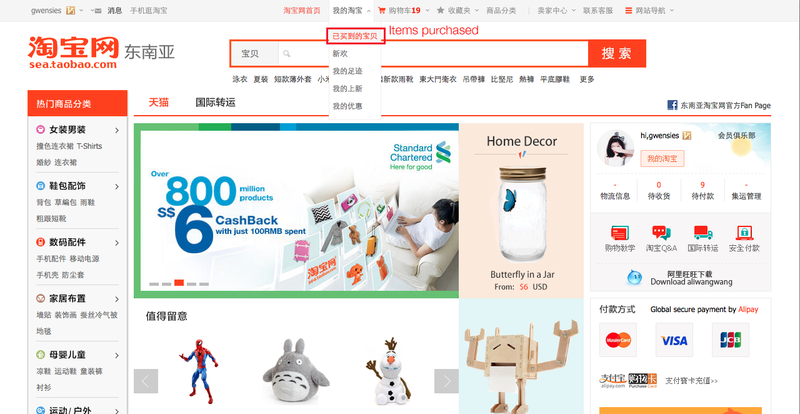 Need help in searching for your items in Mandarin? 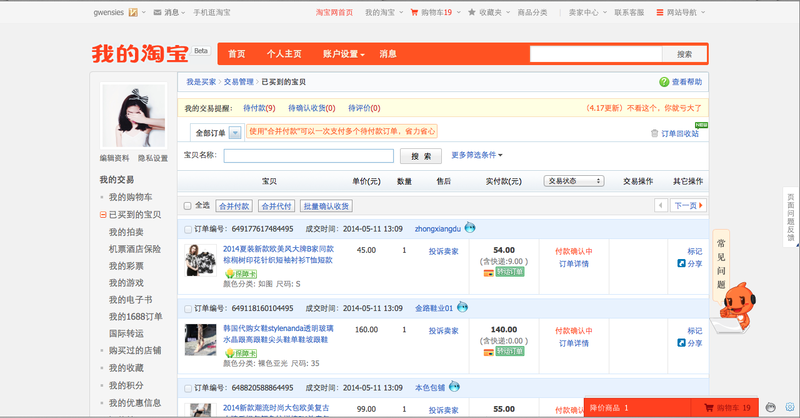 Take a look at my Taobao Search Guide here, which I updated recently. Go to the item you wish to purchase and select your preferred size, colour and quantity. Select 加入购物车 (Add to cart) and it will successfully be added to your cart. If you're done with shopping, click on 去购物车结算 (Go to cart and pay). Remember to check sellers' ratings and reviews on the items before you commit to your purchase. Find out how to in my previous guide. An advantage that buying directly from Taobao is that they have this messaging system called 阿里旺旺, which allows you to chat with the sellers. Whenever you need help in clarifications for your items e.g. which size fits best, what colour is that etc., simply click on the blue icon (gray means offline), and ask them directly! Their customer service is so apt in replying it's like as though they are on this site 24/7. I don't think they'll be able to understand English well, so perhaps it might be tough for you to interact with them. Be nice though, otherwise if you piss them off they might just send you the wrong item... and there's no way you can ship it back. So once you're done with deciding how big of a hole you want to blow in your wallet, proceed to the check out page. 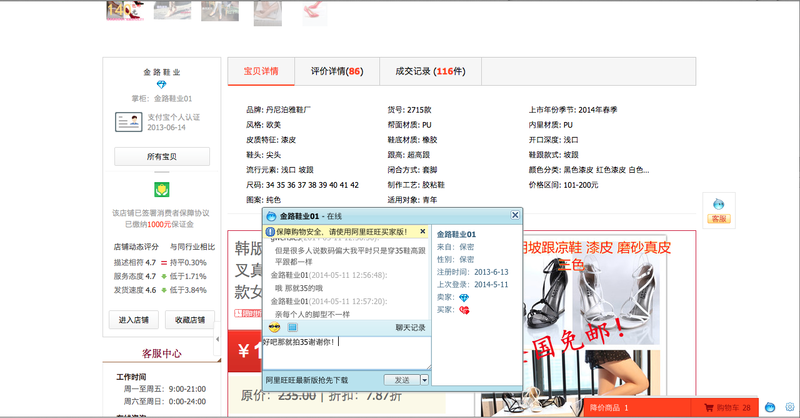 Select all the items you wish to purchase and click on 结算 (pay). Remember to always select this before you submit your payment because the shipping fees is going to be crazy if the sellers think they have to ship directly to Singapore! After clicking on that, you will be led to a pop-up where you can choose which forwarding agent you want to use. Here's the part where it gets cheaper! When you use an agent, their shipping fees tend to be pricier (not exorbitant but it is much higher). Depending on weight, you can save up about half or more on shipping fees. As for which forwarding service to use, it doesn't really matter to me because their shipping rates are similar. However, I've only been using 4PX and haven't tried the other agents before. One thing to note is that all the international forwarding services only allow consolidation of up to 20 orders (i.e. one batch of of items from the same seller is considered as 1 order) for each parcel they ship to Singapore and the maximum holding time in the warehouse for your items is 20 days. You can find out more about their shipping charges and service ratings here. As for the shipping duration, it usually takes about 3 - 6 days for it to reach Singapore from China. Click on 提交订单 to submit your order. Once you submit your order, you will be directed to 支付宝, which is somewhat like the China version of Paypal. Key in your credit card details as directed and click on 确认付款 to confirm your payment. It usually takes about 24 hours for them to verify your credit card details if you're an international buyer. You will be directed to this page where you can check the status of your order, whether the payment is being processed, or if the sellers have already shipped out the items etc. I suggest downloading the Taobao app to your phone if you're going to find yourself keeping track of the statuses. Plus, they seem to encourage the use of the app, with free credits 淘金 that you can use as discount when you checkout, but 1 淘金 is equivalent to RMB$0.01 (I think) so you may take a while to collect up to a usable amount. Just redeem it everyday! So once your item arrives in the warehouse, they will inform you via the Taobao app and also send you an SMS reminder. Some sellers may take a while to send out the orders, so you may need to remind them. 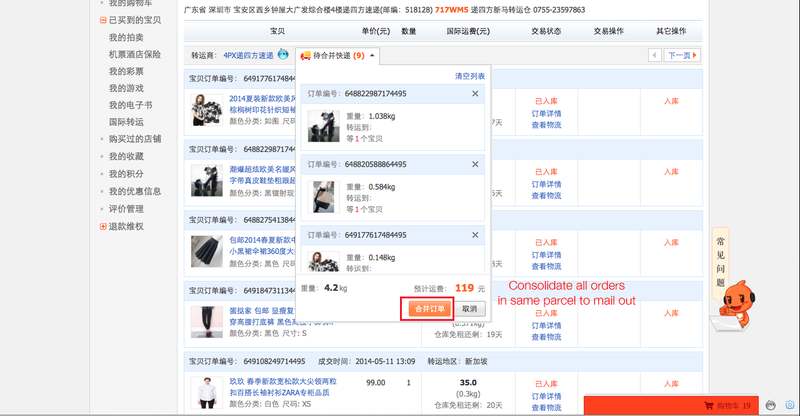 Simply go to your orders page and click on 提醒卖家发货 to remind the sellers to mail out your item. You have to manually select 合并快递 to consolidate your items into one single parcel. Once all your items have arrived and you've consolidated them into one parcel, click 合并订单 to ship out your parcel to Singapore. You will be directed to a payment page where you will be prompted to make payment the second time for the shipping fees to Singapore. Once all payment has been settled, just wait for a couple of days for your parcel to reach Singapore and be delivered to your doorstep! Overall, buying directly from Taobao may be a bit more troublesome than engaging in an agent's service, but you will manage to save quite a bit from shipping. The whole process from ordering to the items reaching you usually takes around 8 - 12 days, depending on how fast the sellers send the items to the warehouse. When your items have arrived in Singapore, you may wish to rate the seller and leave a review for the item. One thing I've noticed... they can't seem to take criticism well. Once, I left an "average rating" for two items from a particular seller, that seller 阿里旺旺-ed me for a few days, apologising and asking me to change my rating to a "good rating" as my (insignificant) review may cause them a drop in rating and even promised to give me back some money if I deleted my review. Bribery at its best, don't you think? Lastly, I would like to dedicate this paragraph to my parents for making sure I didn't fail my Chinese during primary and secondary school because without them, I would have never been able to write this guide for you guys. So, thank my Papa and Mama please! You srsly provide the best guide to Taobao, thank you so much! 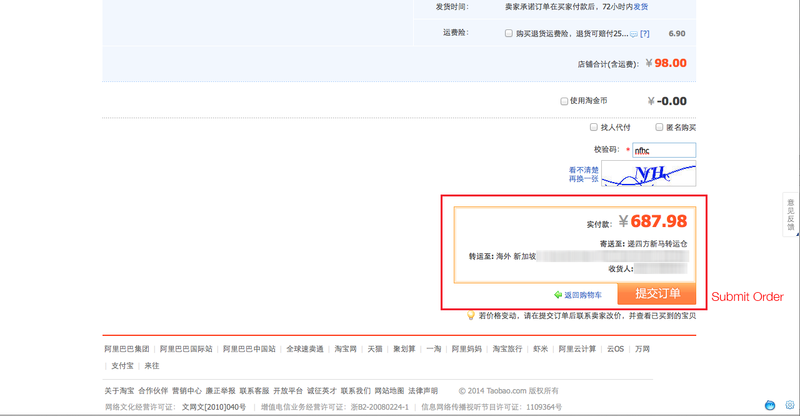 Below is the new link how to purchase the taobao product. One problem though, Taobao keeps making me sign in & reset my pw over and over again, I can't get out of the cycle to even start shopping! Any ideas why? TIA!! hi may i know what if the day they sent to your house and you're not in? :/ will it be like a registered postage kind where they drop you a letter or...? Hello, regarding that I haven't experienced it before because I always send it to a location e.g. Office where I know there will always be people around. Otherwise I think there should be a number you can call locally to check. Hi is there a setting in the taobao app that configures the language? I dont understand chinese at all hence have trouble finding the location of this setting. Thanks! Hi, unfortunately the app only comes in Chinese. I always buy from agents and prolly because my Chinese is bad, so ordering directly from Taobao gives me the fear of money being scammed. But this sounds like a great idea. I gotta try it soon! May I ask if our phone number should start with 65 or 065? The alipay account changed mine to 65-XXXXXXXX... i'm quite worry the warehouse can't contact me. Also, during the payment, do I select the warehouse address or type in my own address? Both are fine, I guess. Select the warehouse address (you shldn't have to key it in) but do key in your own as well because the warehouse needs your address to send it to you. Hi. May I know wht is thr any diff btw buying frm taobao china and taobao sea? i.e. the process of setting up ac, buying the pdt, forwarding agent and shipping.. Thanks! Hey there, sorry for the late reply. Taobao China is for its own country customers, while Taobao SEA was set up for Southeast Asia countries, like SG, hence it's catered more for us. 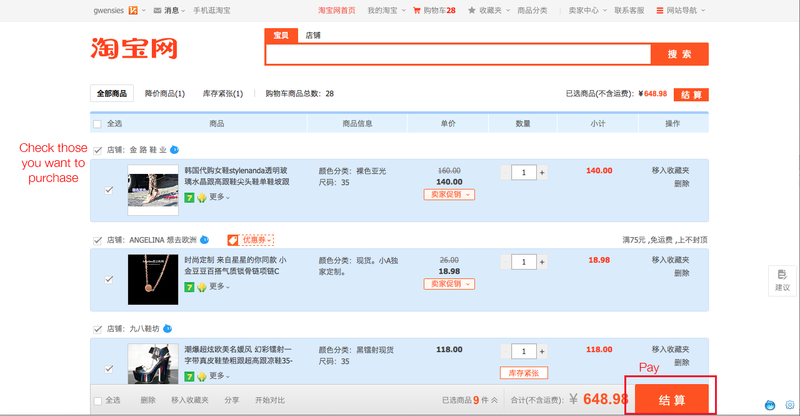 The payment method for Taobao China is probably only restricted to credit cards for banks from China, but I'm not exactly sure about this either. Hi Vanessa, sorry for the late reply. I don't check my blog often. It's basically a password that you can set up for your Alipay account. Hi I am also having problems with paying. Is there a solution yet? Thank you. Hi! Is it possible that 4PX texted me saying that I can pay for the shipping already but 1 item hasn't been shipped out by the seller? I thought they only text when everything has reached the warehouse. They text whenever each item has arrived at the warehouse. You will have to physically keep track if all items have reached then pay for your shipping as a bundle. hi, I just ordered some items (second time), which turned out quite disastrous, unlike my first time. 1) there was a seller who just disappeared, didn't reply and the goods were untraceable even thugh it was sent out. Had to ask for refund and refund is pending now. 2) one seller sent the goods to my Singapore address even though I ticked all items and selected international forwarding altogether. It was later discovered that the international forwarding warehouse address was not indicated for that particular item and I had to provide the international shipping warehouse address. Not sure if the good will still be linked to my taobao account by the time it reaches the warehouse. 3) had to ask for refund for some goods as they couldn't find the international shipping address (same as above, except good was not sent out yet). Bought other items using the refunded money, and the seller is unresponsive and doesn't send the item. Hope u can provide solutions / insights to my problems. Hi, I just want to know the seller that disappear, how was his/her store rating? And did the item have any reviews? hello! Can i ask after you paid for the 4px delivery charges, does that mean it has been confirmed and will be shipped out or? Hi Gwen. I thought warehouse is capped at 20 days and not 9 days? Hi, do you have a screenshot? Hi Gwen :o Same thing for me. No " Parcel Forwarding Option". Does it means seller will deliver to Singapore? Hi. For me I had to contact my international forwarder(PRouter) and they rectified my situation right away. Hi, how do you contact your forwarder? I'm using zto express.. I brought a pair of shoes and zto express state the weight is 2.89kg(3kg for a pair of shoes?!) and I need to pay 85rmb which is ridiculous. Avoid Zto, 中通速递。They frequently failed to send back some parcel and after I spent hours talking to them to sort it out., they are charging me initial shipping fee again. my item was being received by the intl forwarder and it is labelled as " 禁运物品". I have applied for refund under taobao 's "已买到的宝贝". 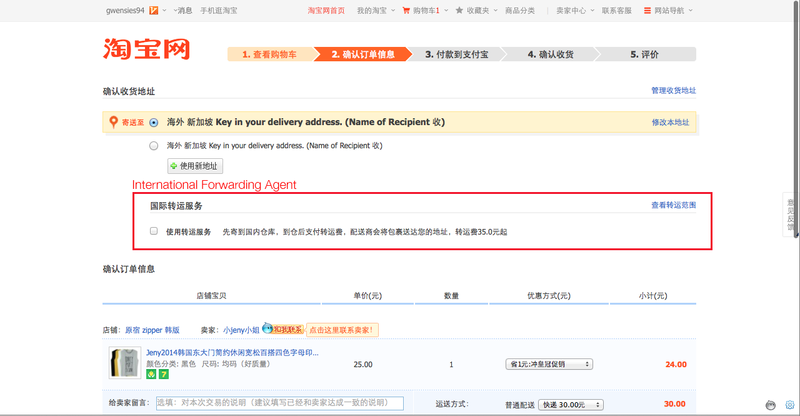 Do I need to apply for a refund under the intl forwarder pg for "退回国内"? But I realised they will ask for the address for the refund item to be sent to and I will also need to pay a fee ( which is significant cos the item is very cheap only). :( help me thanks! Hi Diana. I also encountered this problem before but it was my international forwarder that mistaken by product as a prohibited item (they thought I bought plants but in fact I bought a terrarium glass). I contacted my international forwarder(PRouter in my case, via FB) and I told them that there wasn't any plants and they immediately changed it to normal item for me. Hope this helps. I have placed an order and most of the items have reached the warehouse. Can I make another purchase in a new order so that I can consolidate purchases from both orders? Hi Gwen :"O i make some purchases and made credit card payment but did not choose the "Parcel Forwarding Option" as i thought seller delivering directly to Singapore. Any advise to what shld i do now? Hi do you know how long it takes for the items to reach the WPX warehouse? Thanks! Do you know why it keep sending me to the page - "开通账户" Please enter your account name need to open an account after logging in? I've ordered from Taobao for many times but why suddenly got this. Then after filling up, I've been sent to 身份验证 page??? I can't even get sms message to verify my account. So we have to complete payment for shipping of the agent weight fee for them to send to singapore? Your entry is awesome! However, i don't seem to have the option for international shipment forwarding. Does that mean that im registered as a china user? it has already been a month plus now and seller still haven't ship my items. i have requested for a refund however it seem like seller has gone M.I.A. In the refund page says that in 48hours if seller do not response. it will automatically be refund to me.Now, 1 week plus already, and still no refund. :( what do i do? 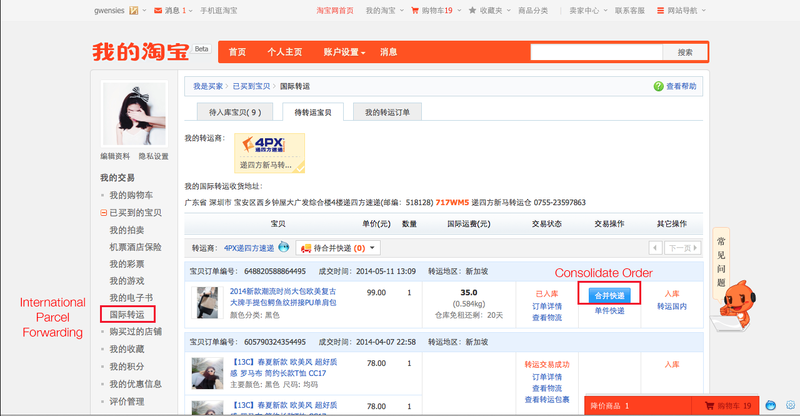 How to purchase directly from taobao in Malaysia?How to check the shipping cost to Singapore and Malaysia?Thank you. i'm a shopper but i'm helping my agent to promote as the service is good and the price is cheaper than almost all other agents. Thanks for this blogpost. I have made my first purchase on my own with the help of this post. The agent receiving my goods on behalf acknowledged that ALL items have been received and sent out. However, when I received my goods in Singapore, one item is missing and when i contacted the seller, she said is still in the warehouse and I have to contact them directly. I could not rectified the problem. Was just wondering if you know how? 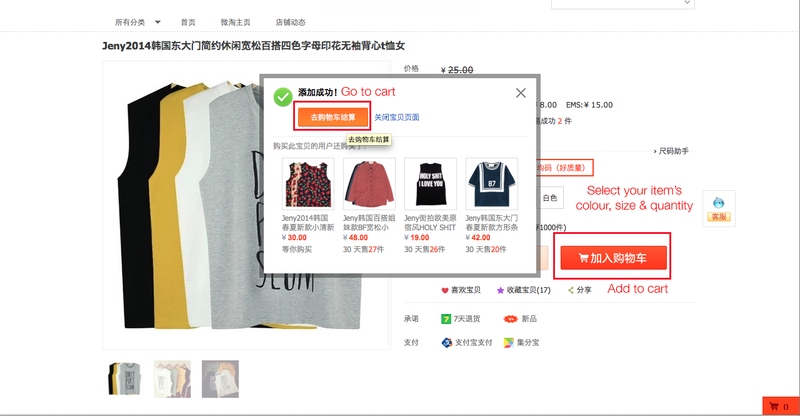 this problem happened because the taobao system can only record 1 bill # for each delivery...sometimes the sellers send your purchase out with 2 bill # (2 parcels), and they will only record 1 in the system. so the warehouse won't know about the 2nd parcels. so you got to check with the sellers and inform the warehouse. THANK YOU!!!!! Been looking forever for an enlish explanation of taobao shipping and the difference between the taobaosg and taobaochina!! 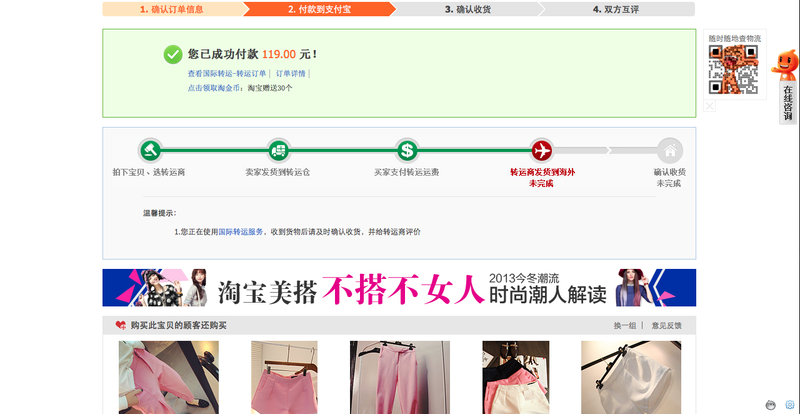 :D Can finally make my virgin buy from taobao soon thank you!!!! upon you make the payment, there should have an option for you to select the forwarder service. and you should never never put singapore address "when you purchase items from normal sellers" as it means you will send direct the items to singapore, normally those seller won't do that as it is very costly. Is it normal that you have to add a billing adres when paying with credit card? It is not shown in the pictures above. Hi Wessel, it's normal to add a billing address as that's where your credit card bills will go to. It's usually the same as the address you registered your credit card with. What if I have to deal with Tmall? 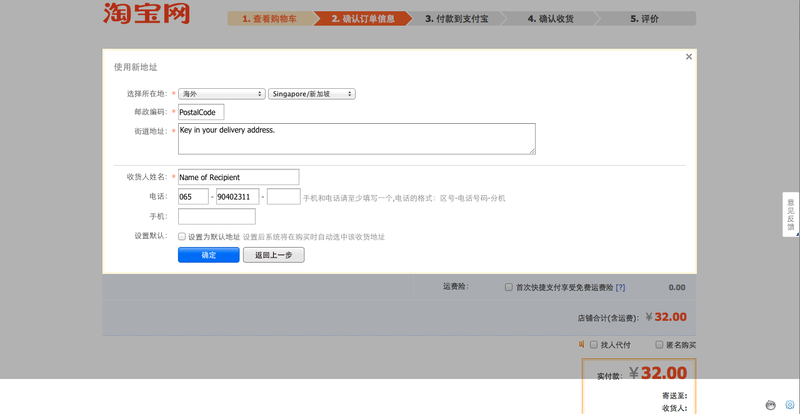 There isn't any options for me to select "International Forwarding Services" at Tmall. Hi there, Tmall tends to work differently. I've not tried using International Forwarding Service for Tmall products as well. Perhaps you could use 65daigou instead? Hello I have a problem any company ship to my country, Costa Rica. And I ask for ship to my Mail Box in Miami but any company ship products to another company only if I have a address home. So i was thinking in look for a company that sends directly to my Country by sea where I can buy from taobao and make an LC and have at the same time Courrier service for dropshipping (of course look for options cheaper than EMS, TNT FEDEX and etc that they are so expensive that is not profitable to buy. So do you know any courrier (mailbox) company chepear than those I have mentioned? 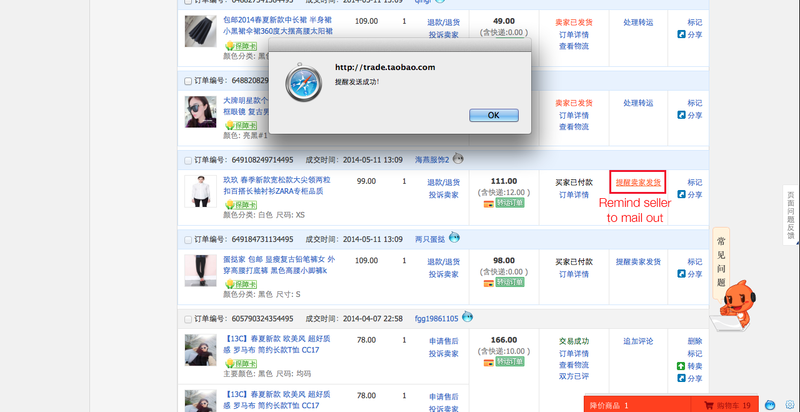 Is the only step for me to complete my first purchase in Taobao. Thanks very much! Hi Sunmoon, apologies because I'm not familiar with other couriers that ship to your country. Perhaps you might want to check with your local post office for more information. Hi, I've some amount in alipay but i can't seems to withdraw it out neither can i use it to pay for new items that im going to order. it keeps showing 当前操作环境不支持控件，为保护账户资金安全，需要通过你绑定手机的校验。I have no idea why I cant use the balance in alipay, hope you can help! and I dont rmbr creating alipay payment password and when i click forget password, they want to me key in passport details and passport picture. how do i go about changing the payment method? Hello, I've faced a problem during the payment as I had too many orders and it exceeded the limit that they had set. I'll thus make two payments for the clothes however just wondering in terms of shipping, is it possible for them to ship all together or it has to be done separately again? Hello Friend, we're taobao shopping agent for a long time who provides nice service and beneficial shipping fee. Would you like to contact us customer@ubuy18.com. We'd like help you solve the problem of taobao buying. Hi how long can the goods stay in the warehouse? Mine only allows 7 days? It is suppose to be 20 days right? Who should i contact to ask for help? I used PROUTER as my agent thanks. I have ordered and paid for my items, using 4PX forwarder. The items have arrived at the china warehouse and consolidated. 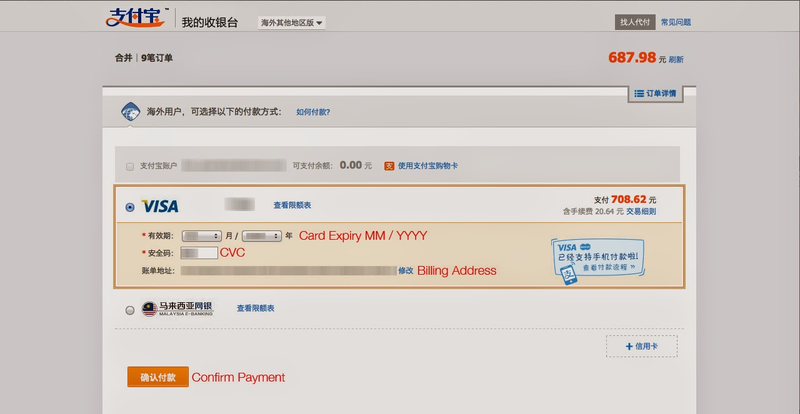 However, i am unable to process the second payment, it keeps getting stuck at the page which states '正在加载中，如果页面长时间无法显示，请刷新页面...'. I tried refreshing, clearing cache, change browser and internet provider but the page is still stuck. hi Yushi, I am facing the same problem. Kindly please share how you solve the problem? Thank you in advance. omg i have the same PROBLEM..
i dont know where to make my payment now for shipping.. When I select Netherlands as shipping country, the option for the internatinoal forwarding service dissapears.. when i select singapore it does show international forwarding service.. can you help me ? stange, the forwarding service also doesnt appear to ship to singapore, is it only available for selected items only? It's so complicating w using taobao, especially when mandarin is not the main language medium in our daily communication. I got the SMS from taobao saying that my items were ready to be delivered by a certain timing and that I'd receive a notice with collection instructions if I missed the delivery. So far, I've missed the delivery and the instructions never arrived either :( do you have any idea what I should do next? hi may i know what the next step after you make your consolation payment successfully? just wait for the parcel to arrive your door or ? Any idea what does 匿名購買 mean? Idk check that box or not when making an order! I can't seem to find Singapore in the countries available, any ideas? Appreciate your hard work in organizing the entire idea of the buying process, it is surely helpful for many! For some who wish to see what others are buying from Taobao, feel free to visit tbtalks.com! The whole process is described very smoothly. Thanks for sharing such a nice information. Hi! Does it includes GST if you ship in yourself? dear all, i been buy from different taobao agent, but mostly the process lead time may bother me, lastly i had met taobao agent askmebuy (http://askmebuy.com/zh/join/dfC) , they process faster which i compare previous, plus their feedback quite faster than i expected..you all can go to the website have a look. Hi. I bought an item recently and it offered free shipping (apparently). Didn't direct me to choose a forwarding agent when I made the purchase. So how do I know it's for sure gonna be shipped to my house? Two: is the stated price final when you pay? or are there hidden charges not mentioned and only deducted from your Visa later on? I'm a new user on taobao, appreciate any help/assurance/advice. I paid for shipping during the check out already. But how come we have to pay for shipping again during after it reaches their ware house? And also normally how much do u pay for shipping in total? If you are not using a forwarder, means you are only paying for the items, and the seller will update you on the shipping fee, which will cost a bomb.. I hope it helps..
hi, i have payment issue with taobao... my bank account already deducted 4 days ago but my taobao status still ' pending payment' . i waited few days still didnt change status. i ask the shop owner, they didnt receive also...Anyone have this kind of issue before? How can i solve this problem? Thanks. Mine too. I pay using credit card and already caj. But shows only 7 itens paid left with 14 items unpaid.. How do i do this? As you described a lot. Good post. Suppose i will buy from Taobao, should i pay extra fee for Taobao help? Hi i want to ask you why in the order side ,mine dont have international fowarding parcels? Regiana- did you click the wrong buttons? It shld have two option for you to chose from for the freight forwarder. One is direct shipping and the other one is consolidate the goods and ship. Useful tips. If you did not understand yet or have many confusions you can see How to Buy on Taobao. Everything is described very clearly and easily. 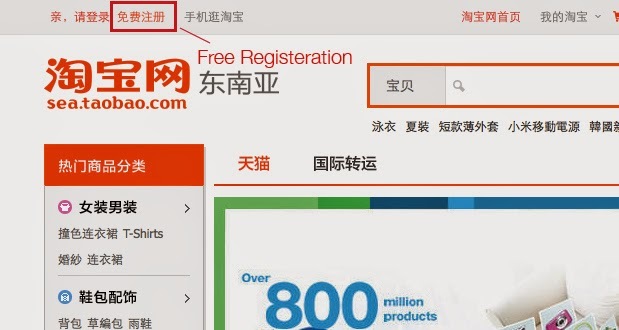 Visit now you can also find more useful tips about Taobao. Hi if it's 免运费does it means that shipping is totally free? And Can I pay by IBanking SG? If my items have already been shipped to the forwarder's warehouse, can I still change the address in Singapore that I want to deliver to? I made purchase from Taobao to US. Turns out the shipping is $22/kg. I ordered a very small item. It's horrifying to hear all of you guys have problems. I am tempted to cancel the transaction but it seems like you don't get refunded with cash, but store credit. What a mess. Hi, are there any extra delivery fees incurred from delivery of goods from warehouse in singapore to your house? I am new to online purchase. I would like to buy hard wood / marble furniture from Tao Bao which is very bulky and heavy. Prices in Singapore shop is too expensive to buy. I would like to know what is the steps to go about it. Also I may find difficulty in fixing these furniture together if they are not assemble when shipped. Kindly advise. Hi Stella, for furniture shipping you might want to use an agent like 65daigou, where they provide sea shipping at a cheaper rate. As for the assembly, I don't think they are able to assemble it for you before they ship it because it would take up a lot more space as compared to a flatpack. I guess you'd have to give and take, you save money on the furniture but everything else has gotta be DIY. Hope this helps. Thanks for the advice. Am I able to choose agent like 65daigou during online purchase or need special arrangement? How to go about it? Interesting guide, and very helpful. You may want to update this, though? I think this warehouse service thing applies only to Taobao-specific goods, and other sites that are affiliated to TB like Tmall and 95095医药 don't have it (I tried testing it out with colored contact lenses from shops that are from either, but the option doesn't show up). Not to mention, some products, even if they were from Taobao shops, may not be applicable to this from what I have tested (though I believe, most Taobao-only goods should have this option, so I presume this is a rare occurrence). Seeing that this was from 2014 last year, the user interface for this service has also changed since the time of this writing, so an update to this would be great. Have a good day and happy shopping~! Hi! I'm considering getting some lenses from 95095医药 as well. Do they just send them directly to your Singapore address? So now I am at the part where you key in your credit card details. They asked for my credit card billing information. So the question is, which credit card billing address should I put? The warehouse that is sent to or my own address? Hello! So the only problem I've had with Taobao so far is that when it gets to the consolidation page; there is no button TO consolidate. My items are only displaying "等待仓库入库" but it also says my cargo receipt was received too?? Do I "accept the receipts" for these items and THEN I consolidate them? I'm so confused. I can send screenshots if you don't get what I mean. Hi Gwen.. Your post is really helpful.. Just 1 part needed some help.. I.e. The 2nd part shipping frm china warehouse to Singapore/Malaysia address.. Any idea how to check the rates? I'm afraid the shipping rate can really be a killer.. This is a helpful article about tourist guide,..
You can google around and you can see on TaobaoSea Facebook Page that people who placed their orders on 11/11 has YET TO RECEIVE their parcel. Despite the delivery guarantee as promised on their website, we are unable to submit claims or request for a refund as there are no buttons for us to do so. We are just STUCK at the status whereby they claim that it is being prepared to be shipped out for at least a week. I see people that are still considering which forwarder to use, so DO NOT use ZTO DIRECT SHIPPING during this period as most of the items are still stuck at the warehouse. Try to use forwarders like 4PX! I really regretted not sticking to my usual forwarder, could have save me all this problems and time. So for now I will have to patiently wait for my item since people have commented that no one is responding to them. Hi there, I've had the same problem and it finally arrived at my door step but I have like half my parcel missing.. Did you encounter such issues ? :/ appreciate ur reply ! hello! i finally received my parcels too but I'm missing more than $100 worth of purchases as well >< any idea what to do? I have no idea how to file a complaint, and it seems I can no longer request a refund. Hi, why I cant find the International Forwarding Service? Hi, i've been trying to pay for the consolidation fee but Alipay said their system is busy(it continues for a week). And i notice this a clock thing under the pay button '还剩1天15时' what is it? wow! thanks for the guide! after several "give up" attempts in the past just to register, i've finally made my 1st purchase...and next is to remember to follow-up for the "consolidate orders" part! lol! wish me luck! Hi , i would like to knoe how can i communicate with direct supplier in taobao ? I am malay and dont know how to speak chineses . Is there any language option for customer like me ? Hi,it's my first time using tao bao and i have quite a lot worries, i don't see the "International Forwarding Service" option , is it because the interface changed? And will the total amount in rmb shown be convert into SGD when payment is processed ? You will see it when you checkout your cart,before doing the payment. The amount will always be shown in RMB as you do the payment. the amount will show RMB if you are paying with credit card. it will show as SGD if you are paying with enet. Hi, I would like to know how can you estimate the cost of the shipping from the warehouse in China to Singapore. You can ask the seller for the weight of your items, then calcuate based on the advertised shipping rates from the various forwarders. Hi, I seem to be having problem with tracking, I don't understand what this means 已签收,签收人是邮件签收章, I choose to use the international forwarding service and recently update give me this, is there a problem? I am trying to ship to Canada. Please help, thanks! it means the items already received and signed by your international forwarder. now you got to contact your forwarder, pay and send to you. I accidentally skipped the step to choose forwarding shipment. The parcel has arrived at some place waiting to transit to singapore, how am I going to do with this?? Check your bill and see if you've paid for shipping. If yes, then you probably chose Direct Shipping and can just wait for it to reach you.If not, maybe you settled for Consolidate Shipping and it's waiting for you to activate shipping. If totally unsure, chat with taobao staff. Hi,my question same with joey yee which means I've got to check on the consolidate shipment box and make payment for shipping charge to singapore door step? Is it regardless of size and weight prouter will accept all items comes from taobao and after calculation from them just check on the consolidate shipment box to make payment for shipping and just sit back and wait for goods to arrive at my door step? Yes you are right, consolidate-pay-wait to receive your goods at your doorstep. If the items are sensitive goods or too big, prouter may reject. I always chat with prouter before buying items i think may be rejected. This means your item has been received by the warehouse. It will probably sit there for a couple of days before getting sent out. it won't be sent out until you operate it yourself. you have to choose the items you bought that you wanted to compile and send in that "shipment" and then you have to pay the forwarder fee according to the weight. How can i purchase directly from Taobao ? Hey, great guide by the way. I purchased an item yesterday and it's on the way to the Taobao warehouse. Today, I wanted another item and want to combine those two together. I've been following your guide about consolidating my order but the website has changed. Can you tell me how I should go about combining my two orders? I haven't ordered the second item yet but should I go ahead and order it? Thanks for informing us , it will very helpful as user point of view. Please keep sharing for the beneficial knowledge of users. i have paid and waiting for it to be shipped to warehouse. but it has been weeks! i clicked the 'remind seller to ship' and this pop up. Taobao is always great site for purchasing. This guide is really helpful. I found changed site more interesting.Thanks for sharing such a great information with us. These are truly amongst the wonderful informative blogs.Thanks for sharing such informative blog article with us. He'll! I want to ask. How can i buy CD from taobao? Because ask far as i know taobao shipping agent, they do not allowed to post items like CD. So how can i buy CD from taobao? Hopefully you can help me as soon as possible. Thank you! online shopping international shipping were if you often find and love products of other countries, then you should go to these following listed online shopping stores and easily order any of your favorite product in your country because they offer worldwide shipping. Check www.basetao.com if you want to make use of an agent! hey guys, need help, Can any Sifu's here help me, I am a regular buyer from Taobao, there were few times my items didnt arrive, but they were cheap it was okay, this time my Transformers toys are stuck, I bought 5 items from the seller, the seller mixed the order and put them in 2 box, and send them together, I received one box and the other box is no where to be found, the tracking number 719175742422 zto last update was March 2, the skynet tracking number is the number of the previous item that I have already received. I have contacted zto, but we both cant get an understanding, in the i was able to figure out some, zto said they didnt receive the item, and i asked the seller to talk with zto, the seller said item cant be tracked once enter warehouse, any help would much appreciated big time. I just purchase item from Tao bao using taobao apps but they nv ask me,to choose any wearhouse I not sure will the item still will be send to me or when the item arrives I need to pay them by cash or they just charge my credit card? Hi, I used to purchase items through a shipping agent as I was told that TaoBao does not ship direct to Singapore. I lately heard that this is not true so I tried ordering some items from TaoBao and input my home address. As one of the items which I previously purchase is out-of-stock, the seller had refunded the payment to me in 支付宝。 After placing the orders, the sellers text me to inform me that there is no way for them to ship to a foreign address and ask me to apply refund instead. Do you have any idea how to go about? Cause if I don't utilize my RMB in 支付宝, my cash will be stuck there forever. I am reluctant to use the shipping agent again as their shipping charges is not cheap. Would really appreciate if someone can help. yes it would be, once my friend gave me lecture about modesty it was amazing and heart touching. I am unable to make 2nd payment for the 4px shipping. Its says something like my card isnt supported. I used the app. And also the website using my phone. Both led to the same problem. Any idea?? wow..this was post from 2014 and we still talk abt it. I purchase directly from taobao in Malaysia.i shop few times before.the courier use ZTO express.I wonder,where can i trace & track the purchase after all item bought enter to Malaysia? is the ZTO tracking number also mentioned in Taobao web? sorry if this question sound foolish,since i used to get page translation to English everytime i shop there..hew3. Hi! I'm from the Philippines. I was wondering if I can also buy directly from taobao. Philippines is not included in the option in the home screen. Would like to buy without going through an agent. Can I buy direct even if I'm in the Philippines? So they admitted the box was damaged during international shipping, but they said I should have rejected the parcel because once i have accepted the parcel, it's not their responsibility. Well, how would i know it's all smashed inside? Do not deal with this irresponsible company, i spent a month writing and replying and they always replied with the same words, with terrible grammar, making you feel like you're having a conversation with an automated machine. I lost more than a hundred dollars through this incident. The seller refused to compensate as well as it arrived intact at the warehouse, and was only damaged by the shipping company. Hi, I have purchased a fishing rod from Taobao and selected 4PX as the forwarder. However, they refused to deliver the rod as they claimed that it is too long. How can I circumvent that, extra fees? If to select another forwarder, any recommendation on the forwarder that will deliver long or bulky stuffs?